The week of the Olympic Opening Ceremony is finally here!! 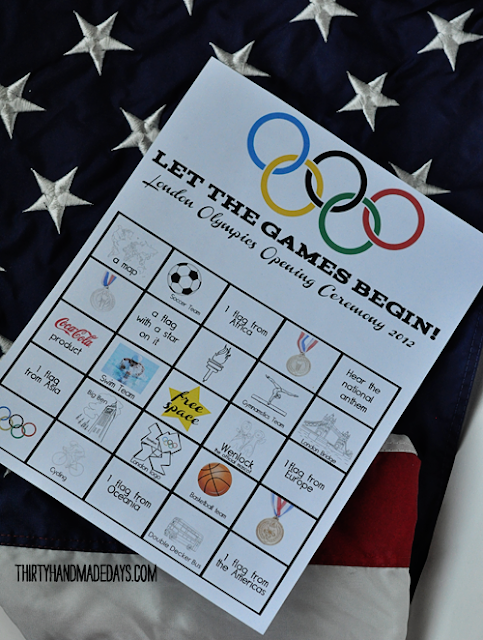 If you are looking for a fun activity to keep your kids invovled in watching the ceremoniy, Mique has created a fun printable Olympic bingo card to keep them in their seats and playing along. You can get your free printable Opening Ceremony Olympic Bingo Card over at Thirty Handmade Days.